Cologne’s Club Moroco was a window into the many different styles of music that Germans were getting down to in the early ‘80s. The space was open between 1982 and 1986 in Hohenzollernring, and what distinguished both the club interior and its crowd was an overwhelming penchant for opulence. 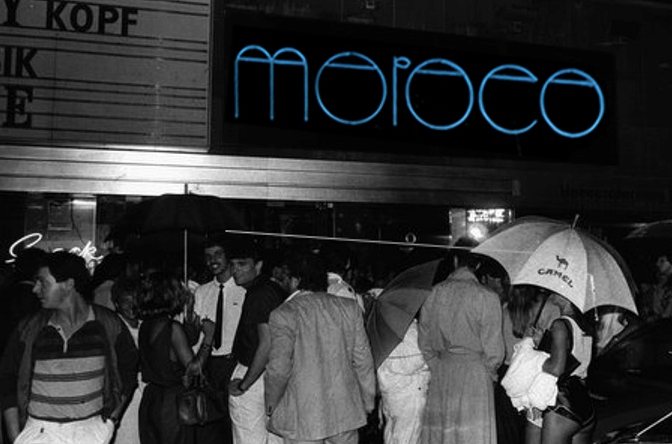 In contrast to the gritty post-punk counterculture that simultaneously rose in popularity throughout the country during this time, Club Moroco’s style was flamboyant, and the young people who partied there dressed up to display class, wealth and elite taste. But aside from Moroco’s defining aesthetic, perhaps what most differentiated it from other clubs across Germany was its status as the preferred off-duty hangout for Kraftwerk. Carol Martin—who is credited as the CGI artist on their Computerwelt album—was one of the club’s resident DJs. Here, he guides us through Club Moroco’s signature sound and how it was connected to the epic Kraftwerk canon that ensued.